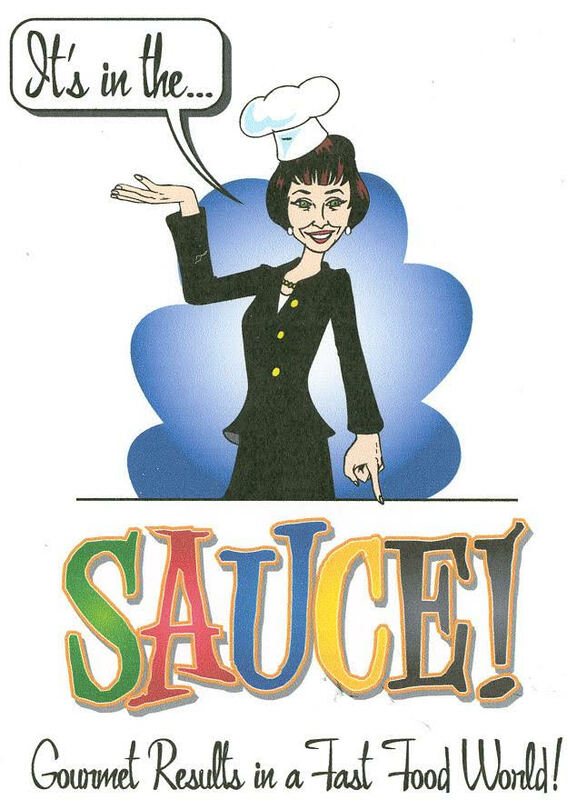 The SAUCE of Choices | It's In The Sauce! SAUCE is all about choices. The best sauces are a combination of flavors and ingredients, not just one. And we vary in our selection of the “best” sauce, the one that is best due to our own taste. The same is true of other choices we make. We hear it everywhere. One of the best current examples is Carly about Hillary. If Hillary is also doing the same with Carly, I have not heard it. And yes, men complain about other men also, but not usually about their choices, and the impact is quite different. When women “eat their own” it creates a feeding frenzy unlike any other. Women still have too far to go to have a level playing field to allow their own insecurities about the choices they made/make to divide them. Let’s establish some variables about this issue. One variable is that one of the most important outcomes of the Women’s Movement many years ago was supposed to be to expand the choices women had. While that has happened, many women are no more comfortable with those choices than they were previously. Many women remain conflicted about the choices they made in combining work and family. While that is understandable and should be accepted, what is not acceptable is to expect other women to make the same choices, or be labeled in a variety of negative ways. This is predominately an issue with women, not men. And it is an issue of socialization. It is also an issue more with middle and upper income women; women from lower socioeconomic status do not often have these choices, there is no choice. This is also true for some middle income families. But it is a choice and not a necessity for many other families, even if to exercise the choice would result in other less desirable outcomes. Let’s be clear about this. There is often more “choice” involved than we admit. It is extremely difficult to balance a job with many responsibilities with a busy family life. But many people do it every day, without complaining or expecting other families to mimic their own. And what is the impact of these choices on the children from these different experiences? The best answer to this question is varied. We probably all know adults who grew up in the traditional family model; a dad who worked outside of the home and a mom whose work was the children and home. And although this model of work and family is no longer common, it should be just as valued as any other model. There are also families we all know in which both parents worked outside of the home and others, including day cares and other care providers, cared for the children. I know successful adults from both of these family models, and I also know “troubled” adult children from both. It is much too simplistic to think that this choice alone will determine the happiness or success of the children. If it were this simple, all of us could make easier choices about these matters. The research on these issues seems to reflect that the more important variable is how comfortable one is with their choice, not the choice itself. And I think herein lies the basis for the animosity of some women toward the choices other women make. And herein also lies the solution to the problem. We need to be comfortable with the choices we make and stop complaining; stop complaining about our own situation and how that compares to others’. The most destructive of this complaining is not the venting to our friends, but the accusing others of making bad choices. Who are we to judge the choices others make? This is arrogance at its finest. Back to Yahoo CEO Marissa Mayer. Her experience as a mother most likely is the reason she dramatically expanded leave for both new mothers and fathers. While her choice was to take two weeks leave with the birth of her son, she has not held others to her same standard. The maternity leave she executed at Yahoo is one of the most liberal for any U.S. company. While the choice is there, some will take advantage of it, and some won’t, for reasons that are uniquely their own. But please, do not use the argument that if the CEO doesn’t take advantage of the liberal maternity leave policy, others really can’t. Surely we have come too far for that thinking. Marissa Mayer is a great example of a leader, improving things for others, and being comfortable with her own choices. The question is, are we comfortable with ours? This entry was posted in Leadership, Relationships, SAUCE and tagged choices, relationships, SAUCE. Bookmark the permalink.